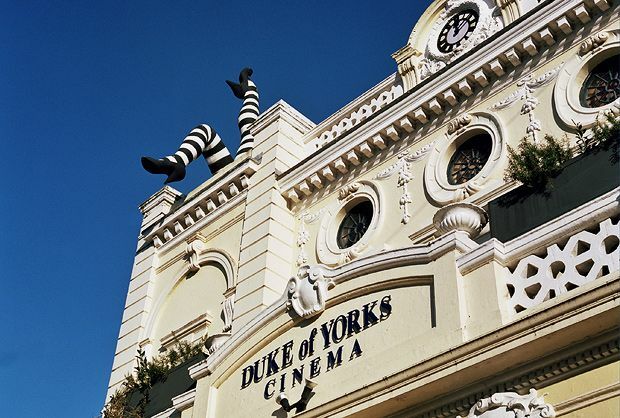 Opened in 1910, the Duke of York's claims to be the oldest purpose-built cinema in the UK, having served continuously as a cinema since then. It caters for everyone with special nights of autism-friendly screenings as well as Kids' Club, Silver Screen showings and Big Scream screenings for those with small babies. There are adapted toilets available and, apart from the first floor bar and balcony seating, the building has full wheelchair access. Located in central Brighton, the cinema is within walking distance from Brighton station. A local landmark just off London Road, look out for the kicking legs!